Purl Soho's semi-precious Small Gemstone Beads are luminescent little beauties, each bead a gorgeous nugget from the earth itself! 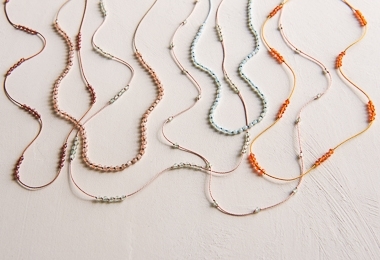 These small-size beads measure 2-4mm in diameter and come on 13- to 15-inch strands tucked inside pretty glass tubes. 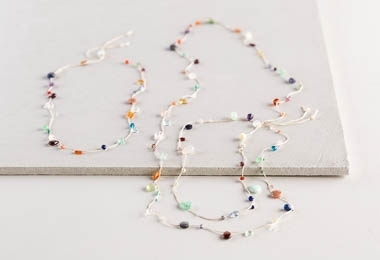 We used some of these beads in our Gemstones + Knots Necklace Kit and others in our Floating Gemstones Necklace Kits, but the possibilities for making incredible things are absolutely endless!